Do not leave your investment to chances. People risk their money by opening a new store without the help of affordable market studies, resulting in eight out of ten new businesses closing. Hitmap is designed to enhance the user experience with the necessary tools to estimate, calculate and evaluate a chosen spot, facilitating decision making process and guiding our customers through the path of expansion. 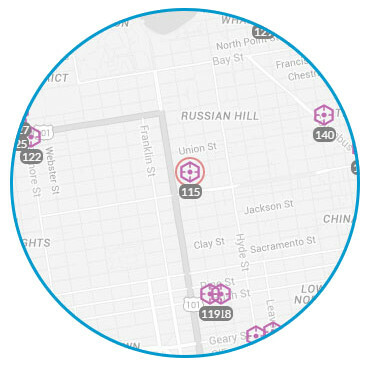 Based on previous sales numbers of open stores, and over five thousand market variables, Hitmap's special formula cooks a score that provides means to contrast and predict rentability of an interesting location assuring success in sales. Hitmap allows you to create a growth strategy and materialize it effectively. 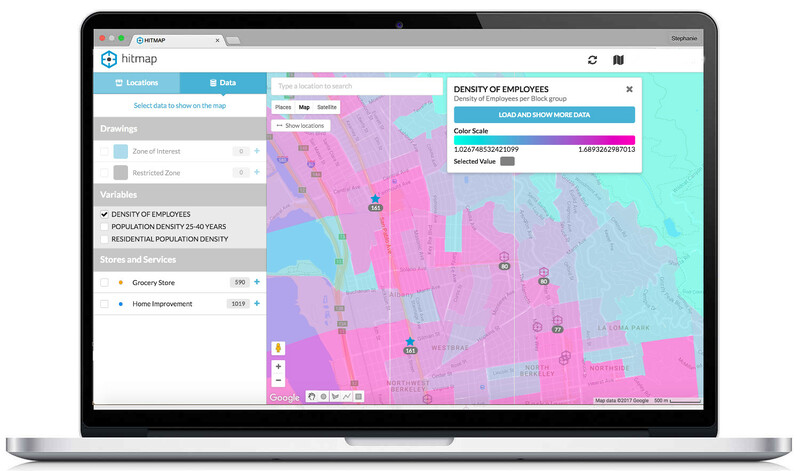 Access to Hitmap's collaborative web platform, manage the premises of your chain as well as all your expansion opportunities and visualize the urban data that characterize the environment of each location. Generate and share comparative reports of locations with your team and take advantage of the information to replicate the urban conditions that characterize your best stores. Compare the sales and the urban context of your locations and understand the urban variables that condition the performance. Evaluate the potential of your next opportunities, through an ad-hoc sales prediction model for your business. You and your team will be able to obtain in minutes the potential of selling a location of interest through the Hitmap platform. Do not know where you should be or want to prioritize your expansion in areas with greater potential?. We help you recognize the areas that best meet the urban conditions for the success of your business. We give you a ranking with the best zones, so you prioritize the search for properties in those sectors. We help you analyze in greater depth the immediate environment of your location of interest. With this, you will be able to make the opening decision with greater security. We will characterize the residential and floating population of the immediate surroundings of the location, the competitors and commercial attractions. We measure the impact of opening a new branch over current ones. We analyze the displacement times of your clients and the area of influence of your stores, to estimate the number of clients that you would lose due to cannibalization, given the location of your new store. We propose you the ideal commercial mix for your project. From the current offer of the market, estimate of potential demand and taking as a reference the standard of offer of the shopping centers, we propose you the best mix of services for your project.